This post is all about stage makeup! When you are a dancer, singer or actor you have to use just the right makeup, because you don't want the makeup to sweat or melt off under the hot stage lights while moving around for long periods of time. I understand this wholeheartedly as all through high school I was in dance, choir and theater. So here are my personal recommendations for stage makeup. I am sticking with Mary Kay on this one. When you are on stage you should only use liquid makeup. If you use Mary Kay Timewise Liquid Foundation you can get either Luminous Wear, or Matte Wear. I suggest matte wear for anyone on the stage. When you are on the stage you need bright eye makeup that pops! So here are two tips! I suggest using LaFemme Eye shadow pucks. They are about $6 per puck, but they last forever and have a hihg pigmentation that MAC makeup. They are created for the stage! 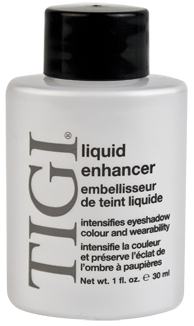 Or you can use TIGI Liquid Enhancer! You just pour a little drop or two of the enhancer onto a palette, and then you put your brush in the liquid and get it damp, and then put your brush in any eye makeup! It helps your makeup go on smooth but it absorbs pigment and brings them out! 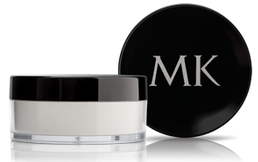 It will give any of your eye makeup a vibrancy and some lasting power! Lorac Blushes are the way to go. Super pigmented, bendable, build able and long wear! Translucent Powder on the stage is a must! Translucent powder was created by stage artists to absorb oils and help makeup last underneath bright lights, it is now sold to the masses to give a flawless finish and help absorb light reflecting pigments as well! I would never put someone on the stage with out a translucent powder. The top two in my opinion are Mary Kay which works better than any other brand I have used and is one of the more conservative when it comes to cost, and BenNye.